Located in Central Illinois, World Language PD was created to meet the needs of teachers and college instructors across the country. Founded in 2018, we seek to help educators meet their goals while still respecting the time and physical constraints of the modern practitioner. Through our university partnerships, we offer our students the possibility to take graduate courses or earn PD points. We pride ourselves in the quality of our instructors; all of our courses are taught by professionals with doctoral degrees and expertise in the subject matter. Jeremy W. Bachelor is Assistant Professor of Spanish and the Coordinator of Modern Languages at Heartland Community College (Normal, IL). He earned his MA in Spanish with specializations in foreign language pedagogy and Hispanic cultural studies from Illinois State University and his PhD in Applied Spanish Linguistics/Education from UNINI–Mexico. Robin Barnard Bachelor completed her Doctorate of Education from Olivet Nazarene University in 2015. She wrote her dissertation on Alternative Assessments in the World Language Classroom and published her findings in the TFLTA Journal in 2017. Dr. Bachelor brings over twenty years of teaching experience at all levels (high school, undergraduate, and graduate) to World Language PD. Alexandra C. Shaeffer is Assistant Professor of Languages, Linguistics, and Literatures at Nazarbayev University. 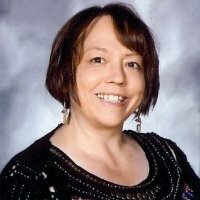 She earned her MA in French with specializations in French and Francophone Literature and Culture at Illinois State University and her PhD in Second Language Acquisition from the University of Iowa in 2018 where she wrote her dissertation on the production and perception of complaints by advanced French learners. Erik Malitz earned his PhD in applied mathematics from University of Illinois at Chicago, where he wrote his dissertation on finite element discretizations for the Monge-Ampère equation. He brings years of experience teaching all levels of math courses both onground and online to World Language PD. We're looking to expand! Send us a copy of your CV.